These are the watches we’re working on. 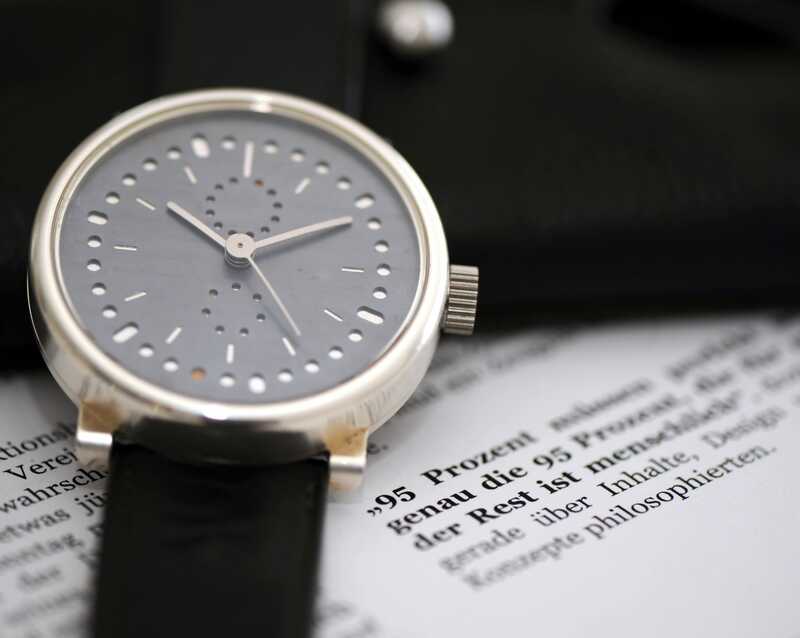 The ochs und junior anno 50 is an annual calendar which uses a system of dots to indicate the day, date and month. For these three functions, Ludwig Oechslin has added three new components to the ebauche. The hands are in white gold, as are the dial and the rotor – although after being subjected to heat in the oven, the latter two are grey. Next year we’ll be making this watch in white gold and red gold – with visible machining marks.